Closed On: Monday, November 23, 2009 3:41 PM. 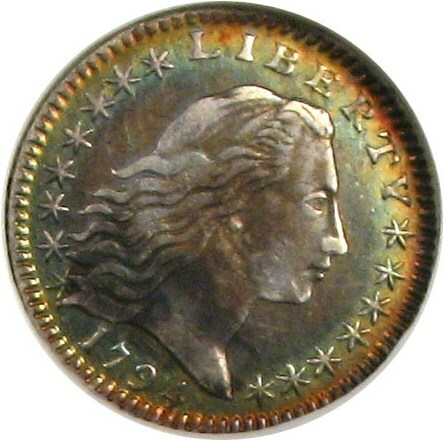 The 1794 half dime is an exciting first-year of draped bust type?as well as the first year of the denomination, unless one counts the famed 1792 half disme which is likely a trial piece. Either way the 1794 is the scarcer of the two available years. 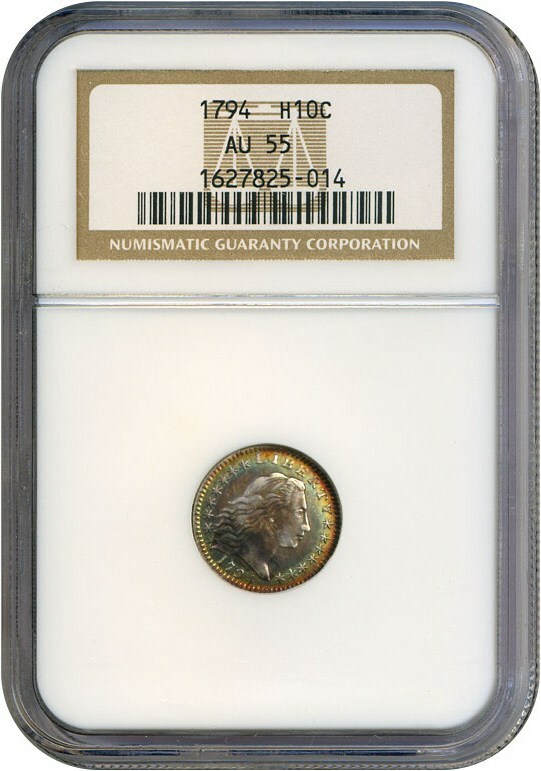 This coin has amazing eye appeal thanks to its bullet album toning with concentric rings of color ranging from bright red to gold and teal. A beautiful example of this famous numismatic key coin. 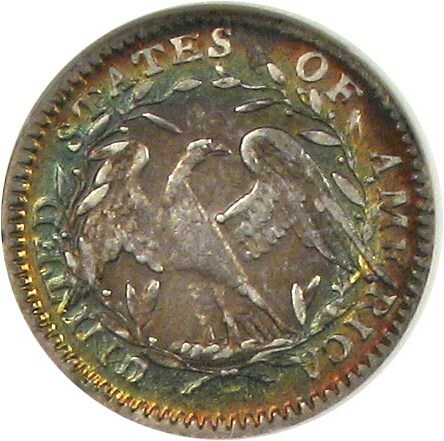 We have attributed this coin as the variety of LM-2; a Rarity-5 according to Logan-McCloskey, which is the second scarcest of the four known die marriages of this date.